When SOAR canoes were first introduced in 1993, people did not know quite what to make of these blue “sausages”. Un-traditional and unconventional by both hard-shell and inflatable standards, the SOARinflatable canoe has gained a reputation as “the most versatile adventure crafts in the world”. 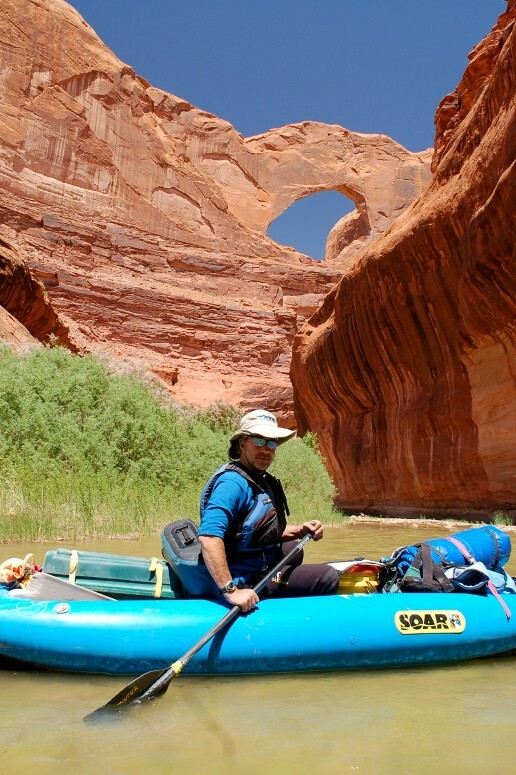 SOAR, which stands for “Somewhere On A River”, was conceived to get more people involved in river adventure. As SOAR founder Larry Laba likes to say: “It’s not about the boat, it’s about where the boat takes you.” Originally designed for wilderness river exploration, SOARs are now widely used by divers, giving way to a new moniker, “Somewhere Over A Reef”! SOAR takes great pride in its highly rated customer satisfaction survey taken in October of 1999. Over 85% of SOAR owners report outstanding satisfaction with their boat. To review a wide selection of comments and see SOAR owner photos, visit the Testimonials and Customer Photo Gallery pages. SOAR is based in Healdsburg, CA, on the Russian River in the heart of Sonoma Wine Country. Give a call when you are going to be in the area. Office hours are Monday – Friday 9:00 am – 5:00 pm. If you have other questions about which SOAR is right for you, please email or call us at 707-433-5599. Our friendly, knowledgeable staff will assist you in selecting and outfitting your SOAR.